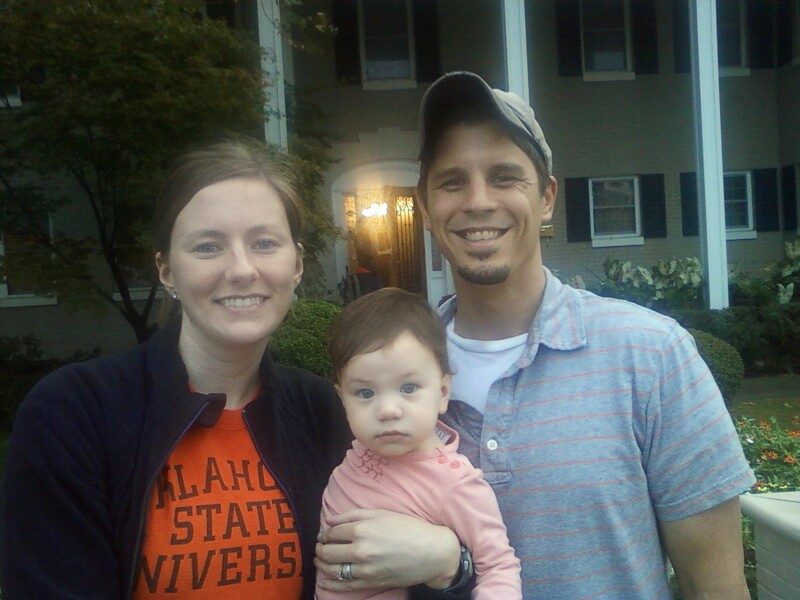 On Friday night we went up to Stillwater for the walkaround. It is OSU homecoming tradition to walk around and look at all the fraternity and sorority house decs. I was in a sorority so I participated in this while I was in school. When you think about it now it seems like such a waste of time but what would we do without the walkaround every year? It is so fun! Tarren graciously even wore a shirt that had some orange stripes on it. He is not Cowboy fan, mind you, but he did try. He opted not to wear his Chiefs hat because he did not want anyone to think he was a Nebraska fan. That would have been a real tragedy. I forgot my camera so I had to take pictures with my cell phone. I apologize for that. 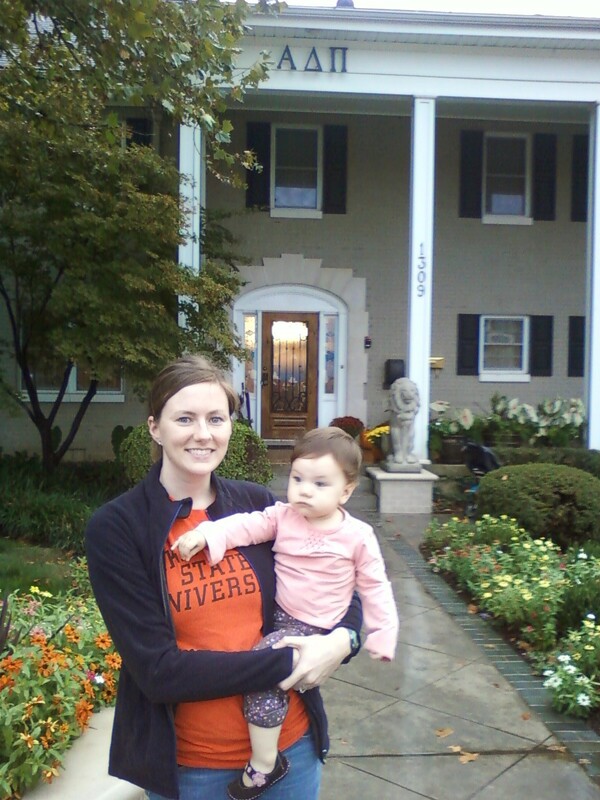 I didn't take any pics of the house decs but I did take a picture in front of my sorority house with my little future A Dee Pi. Isn't she cute? She looks really interested too. She did have a good time though. The walkaround is good for lots of people and dog watching. I like the new look of the blog. I hope I'm not super late and it's been this way for awhile. Cute! Hope you guys had a good time!